Giveaway dose: Review - Oriflame Apricot & White Tea hand & nail cream with revitalising. 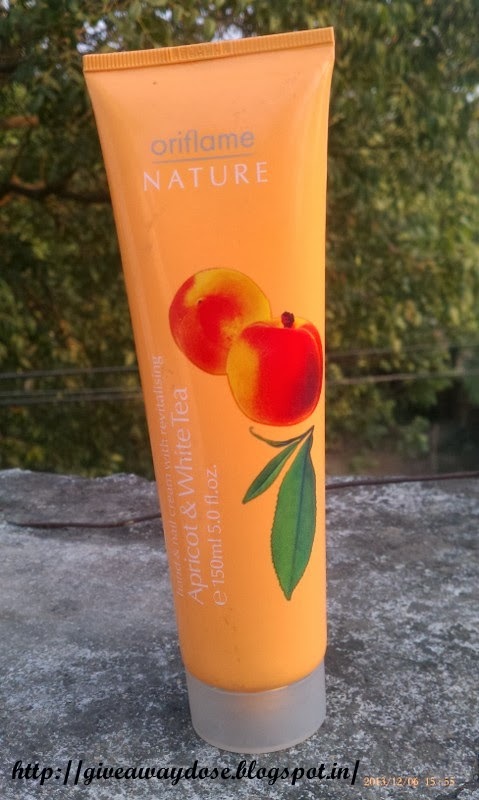 Review - Oriflame Apricot & White Tea hand & nail cream with revitalising. 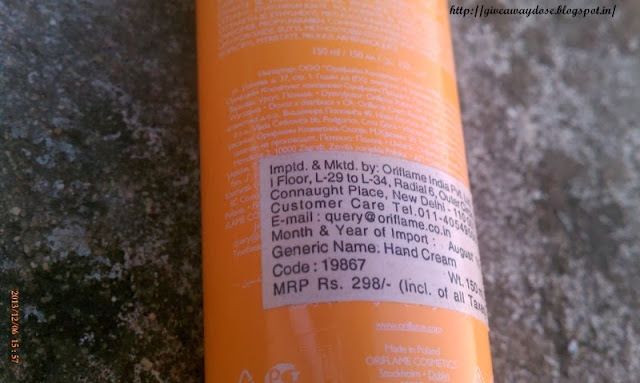 Name - Oriflame Apricot & White Tea hand & nail cream with revitalising. 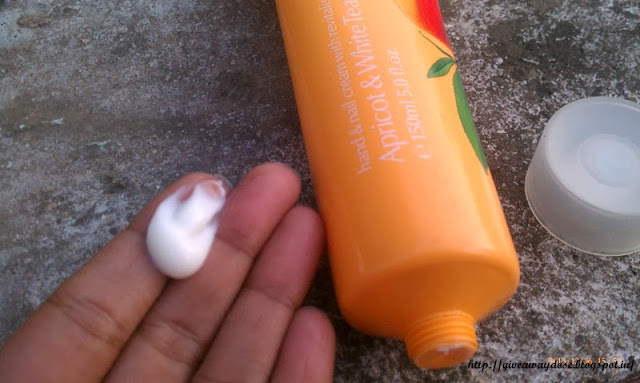 It makes my hand soft, as the cream is not oily and is easily absorbed by the skin. I bet this smells so good! I would love it! Its strange I never tried Oriflame products, but after your review I am on it.